It seems that many hotels and restaurants buffets are going back to the past, serving local foods from the nostalgic old days. Buffet Restaurant Plaza Brasserie decided to bring back some heritage cuisine from the 60s, such as Rojak, Cuttlefish and Kang Kong, Deep Fried Tau Kwa, Braised Pork Belly with Mui Chye, and Tau Suan Dessert. 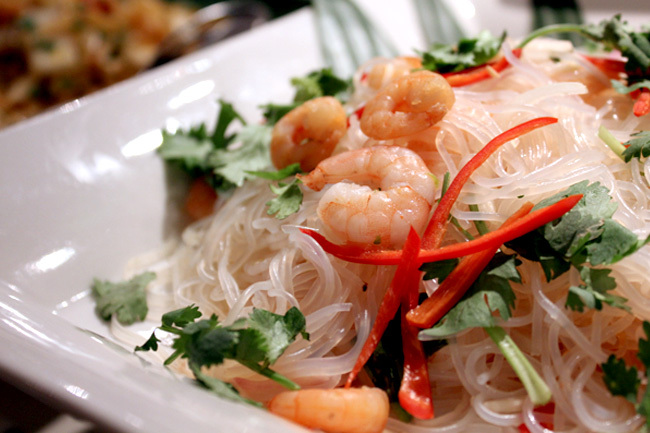 Head Chef Jackson candidly said that most of the recipes are from taken from his mother’s kitchen, and many are favourites that he grew up with. 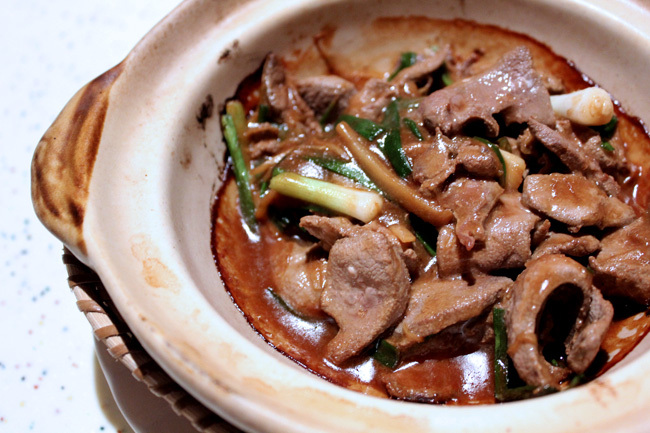 Among the notable dishes is Stirred Fried Pork Liver with Spring Onions and Ginger. Not many people dare to eat pork liver nowadays, even so, few prepare it well because the slices can get too tough with a weird savour. This dish is cooked at the ‘live’ cooking station, and really tastes best when eaten hot from the claypot. Maybe I am not a live- person, I could not go beyond three slices due to the heavy aftertaste. Another home-cooked favourite which my own grandma used to prepare is a simple dish of Meatballs with Carrots Dices. I liked it that it had more meat than flour, with slight crunchiness of the carrots. My tip is: Dip it with the chicken rice chili found nearby which adds that shiokness. 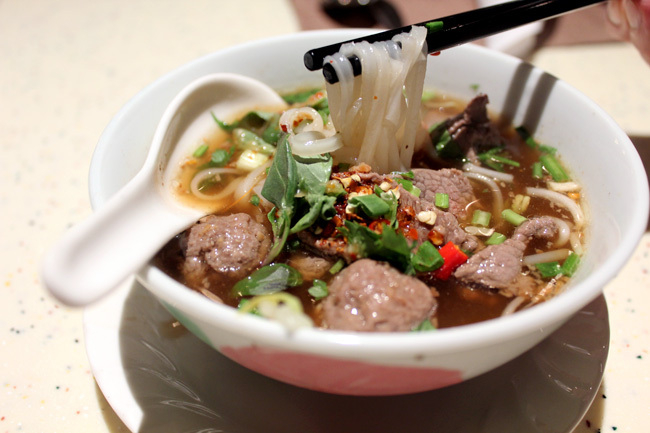 I wondered what the Thai Beef Kway Tiao soup was doing in the middle of this heritage feast. Perhaps Chef wanted to get into the SongKran mood. 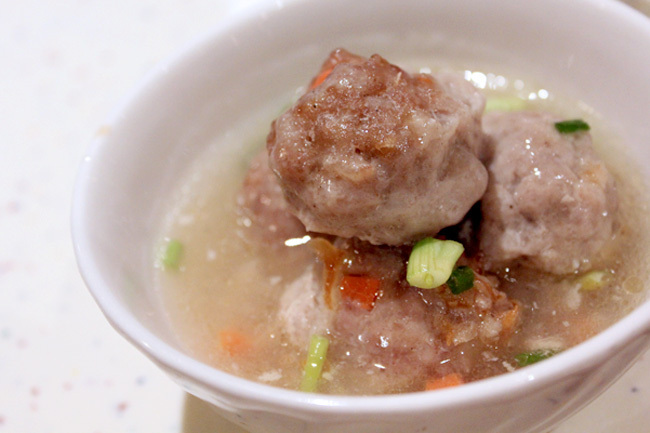 Nevertheless, it was the single best item that dinner with its authentic spicy soup with lovely tinge of fish sauce and basil leaves, matched with delightful handmade beef balls. Sawadee-licious! 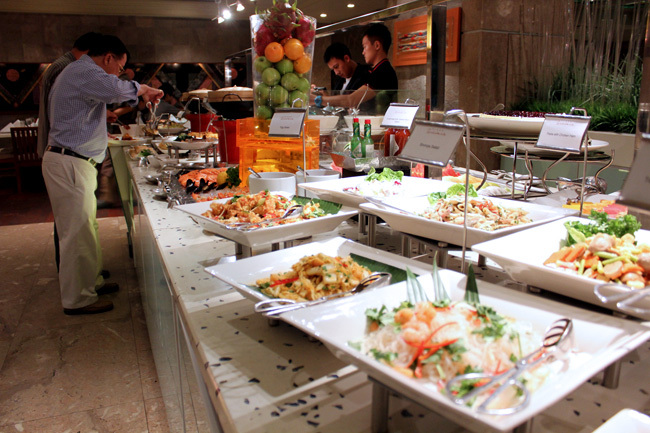 Grandma’s Favourites Buffet Promotion at Plaza Brasserie cost $36++ for weekday lunch buffet, $48/$52++ for weekday/end dinner buffet respectively.